The Discovery East Coast Radio Big Walk, which takes place on Sunday 19 May 2019, is the biggest outdoor participative event in KwaZulu-Natal, and this year, participants can walk for an even greater cause than getting active and having fun. Discovery and East Coast Radio have partnered with Sole2Sole, a local initiative that collects and distributes pre-owned shoes for the underprivileged, to help make an even bigger impact in the local community. Members of the public are encouraged to take part in the initiative by dropping off pre-owned shoes. Drop off points will be communicated in due course. Visit www.durbanbigwalk.co.za to buy your tickets now! The much-anticipated Discovery East Coast Radio Big Walk offers three walking routes (5km, 10km and 20km), as well as a 9km fun run. Participants will start at uShaka Marine World and make their way along Durban’s scenic promenade to the finish line at the Moses Mabhida Stadium. En route they can enjoy East Coast Radio DJs and live entertainment (with special attractions just for kids), take plenty of #HealthySelfies and get the chance to bump into their favourite presenters. 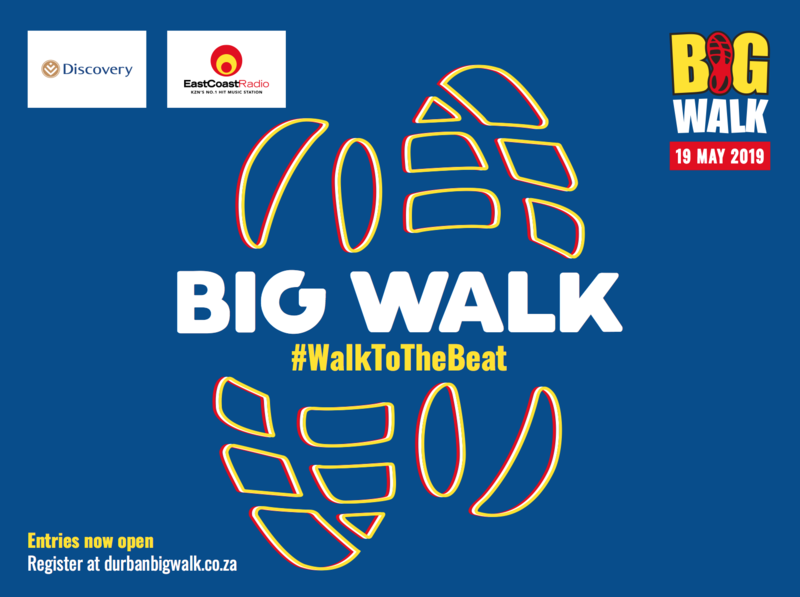 Visit www.durbanbigwalk.co.za to register today and #WalkToTheBeat.